Are you curious about what text links can really do for your website? In the realm of digital marketing and site optimization, you may be thinking that links are seriously overrated. Maybe you’ve heard the text link hubbub but aren’t even sure what text links are. On a fundamental level, text links are fairly straightforward. They are links incorporated within your web content that can send users to other web content. Internal text links send users to other parts of your website, while external links send them elsewhere. In general, search engine experts definitely recommend building text links into your overall digital strategy. 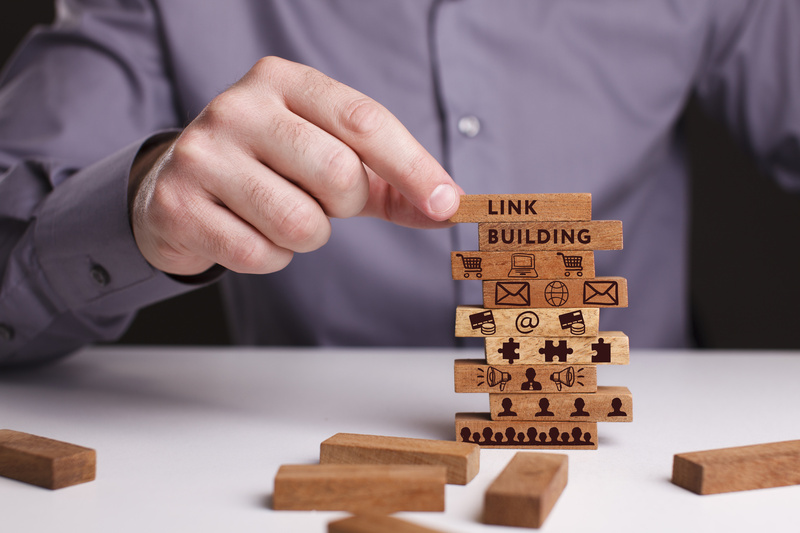 Read on to learn why a link building strategy is central to your business’s overall success. Search Engine Optimization (SEO) is dominating the digital marketing sphere, for good reason. It presents an easy and cost-effective way to rise to the top of search listings for certain keywords or phrases. When your website is search engine optimized, you’ll have a greater chance of getting spotted on Google search results and gaining more customers. Text links are key because they work directly with this strategy. You can create internal links, for example, whose anchor text is optimized for local and global searches. When SEO and linking work together on your website, you’re harnessing your own marketing power double-time. Text links present an easy way for users to bounce around your web content. A user reading a blog post on the intelligence of llamas, for example, may be directed to another blog post on animal IQ in the same post. In this way, text links help you build the right content. You don’t want oversaturated pages with links and keywords, but you don’t want them to be few and far between, either. Search engine experts recommend using text links as a way to distribute your content on your website. They can help you write efficient and purposeful content and eliminate anything that is redundant. Writing relevant and honed content will, by extension, boost your SEO and authority in search listings. SEO is a fantastic strategy to boost your reputation as a reliable site according to Google’s guidelines. Text links similarly will give you ranking authority. Building the right links means increasing your brand visibility through local searches and other digital means. Effective external linking will show Google that your site is worthy of attention and a good authority for a keyword or phrase. Text links give you the opportunity to portion out content on your website based on what is most critical. For example, you can prioritize high-quality content by building the right external links, and let secondary content appear through internal linking. Establishing the relationship between your pages will let you bring more visitors to your most important pages. As a result, you’ll get traffic where you want to get traffic and still have the option to send users to other informative pages. If you feel as if some of your pages aren’t getting as much authority as others, you can use links as a way to spread the love. You can boost traffic to a less authoritative blog post, for example, by talking it up through text links in another, higher quality post. You can essentially even out the authority on web content so that visitors get an even chance to access all pages. Search engine experts recommend using text links as an essential form of website building and as a way to ensure your site gets the authority it deserves. At the end of the day, site optimization strategies are all about the user. The more you can keep your user at the fore of your web development, the greater your site’s odds are for gaining and retaining traffic. Search engine experts love text links because they really prioritize user experience. Internal text links can keep users on your site for a longer amount of time. They can present an easy form of navigation and guide a user through a process or train of thought. Links can optimize user experience so that you can get more conversions on leads and reap the benefits of high traffic. If you really want to make sure your link building strategy is on point, it’s worth it to consult a professional. Link building services can help you hone your content, identify the right keywords and phrases for your anchor texts, and build page authority. 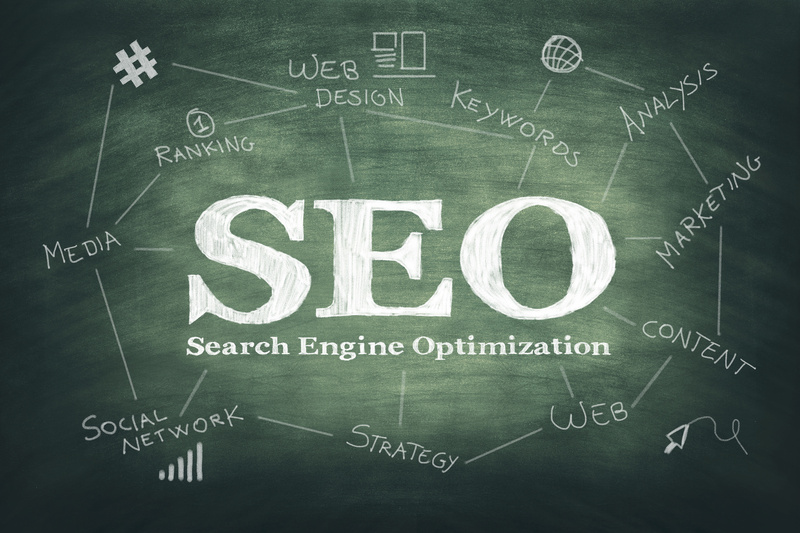 You’ll even be able to optimize your SEO strategy along the way. Professionals will also enable you to sell and purchase text links to ensure an ongoing return of your link building strategy. Clients can become affiliates in order to bring in some marketing revenue. Text links are an essential component of digital marketing strategies, no matter what business you operate. Search engine experts recognize the value of links in terms of what it can do for your conversion rates and search listing rankings. Text links optimize the user experience of your website by creating easy navigation and keeping users on your site longer. They go hand in hand with SEO strategies and boost your site’s authority in Google’s eyes. Text links can help you build the right content and bring your users to your highest quality pages. At the end of the day, reach out to a professional backlinking service to ensure that you are maximizing the power of text links. At BackLinks.com, we’ve been in the link building industry for over a decade, and continue to keep our clients happy. Purchase and sell quality backlinks and even earn money as an affiliate. Let us help you find the perfect text links to send your site to the top of search listings. Contact us today to learn more about buying links! When it comes to SEO, keyword research is only half the battle. Keywords help search engines determine the relevance of your site to a particular query. To evaluate your site’s credibility, search engines rely on backlinks. That said, savvy SEO developers know that they must be careful in their approach to link building. Bad SEO strategies like stuffing your site with low-quality links can quickly backfire. In some cases, they can actually hurt your search engine rankings. If you need a backlink booster that won’t penalize your website, you’ve come to the right place. Here are the top tips for building links that will actually boost your site’s rankings. The importance of backlinks is rooted in Google’s algorithm. Google uses spider bots to crawl through every page on the internet and to index these pages. The algorithm uses information about how often a page is linked to in order to determine the page’s importance. In addition to the number of links to your site that exist, Google also considers the quality of the links. Links that come from higher quality pages are given more weight than links from low-quality pages. In other words, the goal of any backlink booster should be to increase the number of high-quality pages that link to your site. To start an effective backlink booster for your website, you need to know what a high-quality link looks. Search engine algorithms look at three factors to determine a link’s quality: relevance, authority, and transfer. Good links are relevant to the page they appear on. For instance, if you are developing a website for a craft beer company, a link from a tax attorney’s website would not be relevant. A page’s authority can only be built over time. Getting links to your site from pages with high authority will help boost your own authority over time. Transfer refers to the ability of a search engine to follow a link. Links must be DoFollow links so that the search engine can follow it to your site. So how can you get relevant, authoritative, transfer links to your site? The first step is developing great content on your site. The better content you publish on your site, the more other sites will want to link to you. Write blog posts on topics that folks in your audience will want to read and share. Best of lists, profiles, and tutorials are all examples of types of blog posts that tend to generate traffic. If you have the resources, developing original research related to your industry can also build excitement around your site. When you write blog posts, make sure to mention other websites that you respect. Linking to their page will catch their attention, and may prompt them to link back to your site. Publishing an interview with someone well-regarded in your field can be a good way to promote links to another site. Social media is a great way to distribute the content you produce. By sharing content, you can expose it to more people, and increase the chances of earning links. Additionally, linking back to your page on your social media profile will count as a backlink to your site. For this reason, it’s crucial to always link back to your home page on your social media profiles. The best backlink booster social media networks depend on your business and audience. For instance, LinkedIn is a good choice for professional companies, while Twitter and Instagram work better for small, local businesses. Writing guest content is a great way to get publicity for your site. With guest posts, you can leverage the popularity of another site to drive traffic to your own site. If you are just starting to build your backlink strategy, article directories can be a good choice to get you started. That said, always be careful when choosing a directory. A low-quality directory can actually hurt your rankings. Choosing a directory that is relevant to your specific industry can be a good way to improve the link’s relevance. For instance, Slashdot caters to IT businesses, while GrowthHackers is for digital marketers. If you have a relationship with other professionals in your industry, you can send out emails pitching guest posts. This can be a good way to take advantage of connections you already have and to generate higher quality links. It may surprise you to learn that one of the best ways to generate quality backlinks is to get out from behind your computer. Attending networking events in your area for folks in your industry can help you build your reputation. Make sure to join local business organizations in your area. The local Chamber of Commerce and Better Business Bureau are good resources for new businesses to meet other entrepreneurs. When folks know who you are, they’ll be more likely to link to your page or to publish a guest post for you. You might even be able to develop a relationship where you become a regular contributor on a colleague’s blog. One of the main reasons people get online is to research answers to questions. If you are an expert in your field, chances are you have answers that people are looking for. Answering user questions can be a great backlink booster. Sites like Quora catalog questions on a variety of topics, while forums usually include discussions on specific topics. Presenting yourself as an authority on these sites can be a great way to generate links and drive traffic. With these tips in hand, you will soon be on your way to building links that boost your site’s online presence. Building strong links will help you to start achieving the rankings you’re looking for. Looking for more ways to get a backlink booster for your site? Then contact us. Our proven software will help automate your link building strategy. Effective link building results in powerful link equity and prominence in search. This remains the gold standard of the SEO world. Although black hat pre-Penguin tactics have effectively been eradicated, links are still as important as ever – though link farms won’t get you very far. We know that link building is time-consuming, but are you getting the most out of your new and existing links? Make sure you stay on the front page of Google: here are 5 advanced strategies to ensure your link equity isn’t diminishing over time. There are few things which frustrate people on the Internet more than broken links. But it’s such an easy thing to fix. The dreaded 404 error will soon be followed by their departure from your website — almost inevitably. And if search engines find lots of dead links, it’s likely you’ll be punished in the search rankings. This is to do with internal linking structures within your site. If you’ve updated or replaced pages, old links will stop working. You need to set up an effective redirect to make sure people still find the content they’re being promised. Or, go and fix the individual broken URLs by replacing them with the new destination link. If you’ve migrated a website, it’s perfectly possible that there’s not just a problem with 404 links. Broken redirects can sometimes happen simply because the site has been around for a while, with no migration. Every time a URL changes, there is a chance for links to break, and for redirects to break. For example, if I change the name of a page for a second time — after building one redirect — I might break that redirect. Broken links will only frustrate people. Use a decent analytics tool to identify broken redirects on your domain, and get to work on fixing them. It’s not a particularly exciting task, but it’s vital! 3. Don’t Forget About Content Quality! If you have good content, your link equity is likely to be much stronger than someone without this asset on their side. To get inbound links for your website, you have to create something that people care enough to link to. That’s easier said than done. This content can come in many forms – video, audio, plain old text. It doesn’t matter, in theory, but the more shareable the content the better. An entertaining, light-hearted video is likely to go further than a serious, text-heavy blog, for example. Of course, formats which work well for some will be less effective for others. If a light-hearted video doesn’t work in your niche, it’s certainly possible to create great serious content which is still shareable. Just remember to always offer your users something of value. For example, this might be teaching them something new, offering business strategy advice, or giving them money saving tips. It should be something interesting which they’ll actively want to pass on to their friends and colleagues. Make sure you’re milking your website for as many backlinks as possible. Actively reaching out to other websites is a good way to make these links happen. This process can be explained in three basic stages. Firstly, you need great content (see number 3). Without this, you’re scuppered. No one will link to a site that they don’t see as being valuable in some way. Secondly, you need to scout out allies. For the best results, you should specifically target websites covering similar topics and interests to the content you’re pushing. The more authoritative the website, the better the link equity from there. So a link from, say, NBC or Forbes, being large and well-known websites, will be much more powerful than a link from your local grocery store. But don’t discount the local grocery store either! All links matter, and you have to be a pragmatist — it’s far more difficult to convince a powerful website to link to yours. Fight for the ones you can get, rather than wasting your time in dead ends. Thirdly, contact your new potential allies. Make them see the value in your content. If you’ve made good content, this will be easier. If the answer is a hard ‘no’, don’t be discouraged – there are plenty of other websites out there! If they’re not so convinced, suggest a link exchange rather than a straight-up favor. If other websites can see the value for their own SEO in the relationship, this might close the deal. A hard-won link on a major website will give you no joy at all if it’s broken. So the last thing you want after putting all the effort of link-building in is for your links to be killed off when another webmaster makes changes to their own site. We suggest keeping a spreadsheet of key links you’ve built up over the years, and every so often making sure someone is checking that they’re still working. If they’re not, email the other company and give them a new link. Most people will be glad you’ve done this, as you’ve actually also helped to fix a 404 error which users may attribute to their site. You get your link back, improving your link equity – and their site has one less glitch. Everybody wins. In fact, while you’re doing them a favor, why not suggest to them that they might like to link to that brand new article which you posted today? Link equity is the fuel that runs most SEO strategies. Keywords and good technical structure is all well and good, but without good links you’ll flounder. When we talk about link building, we’re not talking about old school link farms. Those don’t work – don’t be tempted by anyone who tells you otherwise. Why not get in touch for a free link building consultation, to see how we can help you on your journey to success? We’ll throw in some more general advice about your SEO strategy too. Can’t beat a deal like that! Not all search engine optimization campaigns are created equal. It’s entirely possible for SEO efforts to actually work against a site’s position on the search engine results pages. The thing is, since SEO is complicated, ever-changing, and can take time to work, a lot of growing businesses trust in their SEO efforts too blindly. Do you think your SEO campaign could be hurting your site traffic? If so, the faster you can turn it around, the better. Read on for several ways you can spot a bad SEO campaign. It covers SEO basics that will help you understand if your optimization efforts are working for or against you. You don’t have to be an expert to spot bad SEO. You just have to arm yourself with the following information. Search engines succeed by providing the most helpful information to their users. Your SEO campaign aims to tell search engines everything about your business so that your site pops up for relevant searches. If your SEO campaign is too broad, you could be losing traffic by the second. Let’s say you’re a house painting company in Maine. You might think ranking for the keyword “painter” would be very helpful to your business. However, it wouldn’t help you very much to rank for portrait artists in Alaska. Make sure your SEO efforts are specific and focused on matching with searchers that are looking for what you actually sell. You can figure out if you’re getting a lot of irrelevant traffic by analyzing your bounce rate. Your bounce rate shows how many visitors leave your site after visiting only one page. This can clue you into an excess of site visitors looking for something you don’t offer. Page load speed is an important ranking factor for any site. Most internet users have a very short attention span and will hop off your site if it takes more than a second or two to load. It’s not just the user experience that matters (although that is extremely important). Search engines also crawl your site pages for information, but only for an allotted time. If your pages are slow loading, search engines won’t know as much about what’s on your site. Losing customers due to page load speed is totally preventable. Make sure you take notice if your site is becoming sluggish by using crawling software. Trying to cut the line by doing something unethical never ends well. Search engines don’t like you trying to trick or cheat them, and they’ll penalize you if they catch you. They see right through plagiarized content, falsified content (i.e. nonsensical repetition of a keyword), and black hat SEO techniques. Basically, bad SEO would be doing anything in your SEO efforts that doesn’t involve producing quality, true, and relevant information. Google and other search engines will quickly catch on if your SEO efforts are against the rules. You should be auditing your site regularly to make sure that you’re not being targeted by the black hat SEO efforts of a competitor. A negative SEO attack, such as one done by link spamming, can be detrimental to your ranking. By regularly monitoring your link profile, you can see if there is any unusual or suspicious activity such as a huge spike in backlinks. It could be an attempt meant to devalue your domain or confuse search engines, plummeting your ranking. The sooner you catch a negative SEO attack, the easier it will be to restore your site’s reputation. You’re probably aware that reviews play a role in your search engine rankings in addition to your overall reputation. Be sure to monitor your reviews, especially on listings like Google My Business. If there is a sudden tsunami of negative reviews, you could be the victim of a targeted attack. The good news is that Google My Business and similar directory listings offer you the ability to flag fake reviews. Report them right away to increase your chances of recovering your rightful reputation. There are near endless sources on the internet claiming to have the best advice for your next SEO campaign. Even many popular articles have conflicting information. It’s easy to see that there’s no way they could all be right. In fact, a 2016 study found that 59 percent of links shared on social media have never actually been clicked. So 6 out of 10 of your friends are “endorsing” information they haven’t read, much less verified. So how do you spot what’s actually good information about SEO? It’s about two things: accuracy and age. Accuracy can be hard to spot if you’re not an expert, but you can look for the age of the information easily. Even if we assume that every single SEO article had accurate information at the time of publishing (which isn’t the case), the information could be out of date because of an update to search engine algorithms. Always check when the article was published and assume most SEO information that is several years old is probably out of date. The SEO tricks of 2010 won’t work the same way today! It is crucial that whoever runs your SEO regularly checks in with trustworthy sources of information about updates to search engine algorithms and SEO trends. Now that you have a better understanding of some SEO factors that can work for and against you, you’re probably excited to put good SEO to the test. A key part of every successful SEO campaign is building quality backlinks. Building backlinks is essentially advertising your site on other websites with significant domain authority. This makes your site look great in the eyes of search engines. Backlinks.com has been doing quality business for over 10 years. Sign up today to start getting the links you need to actually improve your rankings on the search engine results pages! In The Secret to Getting Authority Backlinks, we listed the ways you can get natural backlinks. One of those ways is reaching out to influential content creators. Influential content creators can mean industry leaders, journalists, or bloggers who have the authority to shape public or industry opinion. Here, we’ll go into detail about how you can get high authority backlinks from bloggers. It’s a given that you should ask nicely. But how do you go about asking bloggers for high authority backlinks? Do you send them an email, tweet them or message them on Facebook? If you want the safest and most professional option, go with email. But don’t send a form letter. Spend some time drafting an email that makes the recipients feel like you did your homework. One way to do this is to talk a bit about a recent post they published or a specific topic they covered in their blog. You can then tell them how much you enjoyed their work. But don’t overdo it with the flattery. You should also be clear about why you emailed them in the first place. Don’t heap on the praises, wait for them to thank you, and ask for a link. Your initial email should have covered that already and sending multiple emails will look like you’re spamming them. Don’t assume that just because you’ve been leaving insightful comments, the bloggers you’ve been following will automatically give you high authority backlinks. It’s a good start for cultivating a relationship with them but it’s not enough. In addition to fine-tuning your email outreach, you have to be creative. Lucky for you, there are tried and tested ways to do that. You can tap specific bloggers (related to your niche or industry of course) who review products and services. You can also interview and be interviewed by others. Another way is to regularly write statistics posts, which bloggers can use as a source. If you want to ramp up your efforts, try writing testimonials. You could also speak at events, do something newsworthy such as holding a charity event and look into using tools such as HARO. Now you may be wondering why this isn’t the first tip listed. But hear us out. If your list is all high-profile bloggers, you might be missing out on some great opportunities. For one thing, A-list bloggers frequently receive similar requests. You have to entertain the possibility that no matter how well your email was drafted, your request for a link can still be declined. In this case, you have to move on to something else. If you go after mid-tier bloggers, you have a better chance of increasing your visibility. Coverage from five or more mid-tier blogs is certainly better than one post from a top blog. Plus, if your product or service consistently get featured on smaller blogs, in time, larger blogs will pick up the story. After all, it would look bad if they are the only ones in your niche not covering your story. Getting high authority backlinks is just one of the benefits of guest blogging. By doing guest posts, you establish yourself as an authority in the industry and you also get more traffic back to your site. But there’s quite a leap from wanting to guest post and finding the perfect guest blogging opportunities. You can’t just produce content for any blog. It has to be a blog related to your niche or industry and it has to have an established following (also on social media). If you’ve already compiled a list to guest post on, great! Now you can prepare your pitch. Take note, however, that blog owners may have different guest posting guidelines. Your best bet, of course, is to follow these rules closely. Don’t submit an idea when the guidelines say to submit a full post. Write in the format they want the post in and make sure your pitch includes why you would be a great guest blogger. Do you want an easy way to get a blogger’s attention? Let him or her know that there are broken or outdated links on his/her site. Don’t worry, this won’t make you look obnoxious. Serious bloggers know that harmful backlinks can affect their SEO rankings. You’re actually doing them a favor by letting them know. But don’t just stop there. You’ll get more mileage by recommending other websites to replace those broken links. This is where you slip in a link to your own website. A couple of tips. When you reach out to bloggers using this tactic, don’t make it seem like they owe you for doing this. Be friendly and helpful by providing the exact location of the broken links. Getting high authority backlinks is doable. But as you could see from the tips already mentioned, it takes some time and effort. If you have other tasks on hand that you want to devote more resources to, you should consider link building services. Quality ones know blog relations, link baiting, and other tactics that can help you secure those high-quality links. You also don’t have to worry about them linking irresponsibly. They have all the right tools at their disposal. And believe us, some of those tools don’t come cheap. Take advantage of their catalog of industry contacts and get those high-quality backlinks without breaking a sweat. Need Help Getting High Authority Backlinks? We’ve been doing link building for over a decade. Our software has helped more than 100,000 of pros with buying and selling links. 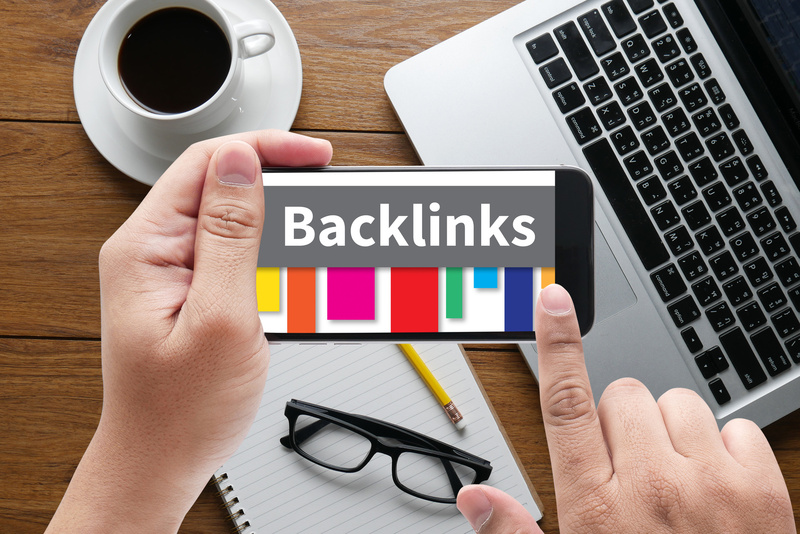 If you’re looking for the most trusted name in the industry, look no further than BackLinks.com. No matter what your niche or industry is, we have a huge inventory of high DA sites to place your links in. Or you can automate the process with customizable link queues. Don’t hesitate to contact us if you have any questions about link buying and SEO. You may also browse our blog for more information on link building. People are now watching one billion hours of videos on YouTube every day. We’ve all fallen down the YouTube “rabbit hole,” losing hours of time after intending to watch a single video. But did you know that YouTube backlinks can give you as a serious boost in the search rankings? Many people are still ignoring the incredible link building strategies waiting on YouTube. It’s easy to consider YouTube as “just video marketing” or a good place for “brand exposure.” Unfortunately, this means they’re missing out on a massive link building opportunity. Luckily, this post will cover everything you need to know about YouTube backlinks. Let’s get started. By now, you probably know that anything in SEO begins with keyword research. And YouTube SEO is no different. Your aim is to look for keywords that have results from YouTube on the first page of Google. These are known as Video Keywords. If you optimize your video around keywords that don’t have any video results within Google, you’ll only be getting traffic from people who search on YouTube. But if you optimize your video for Video Keywords, you can snag a whole lot of targeted traffic to your videos straight from the first page of Google. How do you Find Video Keywords? The first step is to simply look for keywords in your chosen niche. Then you can see if those keywords have video results on Google. Next, you need to check if enough people are searching for that particular keyword. Look for one that’s getting at least 300 searches a month, which will mean it would also be getting plenty of searches within YouTube. The goal is to get that video to rank well in Google so that those 300 people searching for your keyword will choose your video. That will mean that your video will be getting high-quality traffic which can be passed on to your website. The more effort you put into creating your videos, the more you’ll get out of them. If your videos stink, they won’t rank- regardless of how well you optimize them for SEO. YouTube judges the quality of your videos based on how many people are interacting with them. Longer videos rank the best on YouTube. If you have something interesting to say, don’t worry about it being too long. Aim for at least five minutes. Use your keyword in your video’s filename. For example, if you’re aiming to rank for “meal prep recipes,” you’ll name your YouTube video meal_prep_recipes_video.mp4. This should be at least five words long. That way you can use your full keyword while avoiding keyword stuffing. Put your keywords at the beginning of your title for a slight SEO boost. This is hugely important. YouTube and Google can’t yet “listen” to your videos, which is why they rely on this description. They use it to determine the content of your videos. Put your YouTube backlinks to your site at the very top of your video. This will maximize your click-through rate. Make sure you include your keyword within the first 30 words of your description. Aim to include your keyword at least 4-5 times, and write at least 250 words for your description. This will tell YouTube and Google what your video is about without looking like spam. Tags also help show Google and YouTube what your videos are about. They help you rank for your keywords, and help you show up as a related video in the sidebar on the right-hand side. Another place you can use backlinks for your website? In the YouTube Annotations. These are little boxes that pop up while a viewer is watching your video. Use a compelling call-to-action and add your website, and you’re likely to see a huge increase in visitors for that page. It’s often a good idea for the presenter to draw attention to the annotation when it pops up. Tell your viewers what the link is for, and let them know why they should click on it. These are different from annotations in a big way: They work on mobile devices. This can make a massive difference to your clickthrough rate since so many people use their smartphones and tablets to watch YouTube videos. Walmart uses YouTube cards incredibly well. They use a little “i” icon (for information) in the top right corner of their videos. When you click on that button, a “more info” button appears. These clickable links lead to the landing pages on the Walmart website for the items shown in the video. If you do this well, with compelling images and links leading back to your site, you’re likely to see a massive increase in your visitors for those pages. Ready to get started with your YouTube backlinking strategy? It doesn’t need to be complicated. 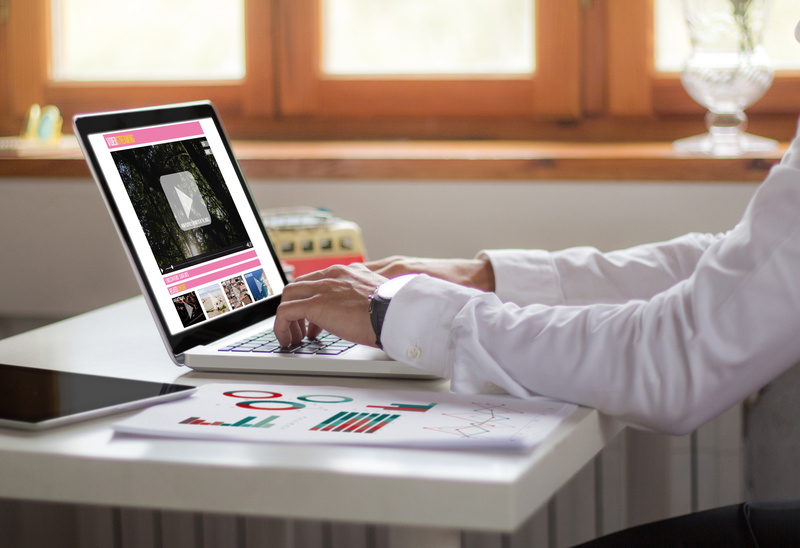 Simply create an interesting video, choose the right keywords, use SEO effectively, and make the most of annotations and cards. 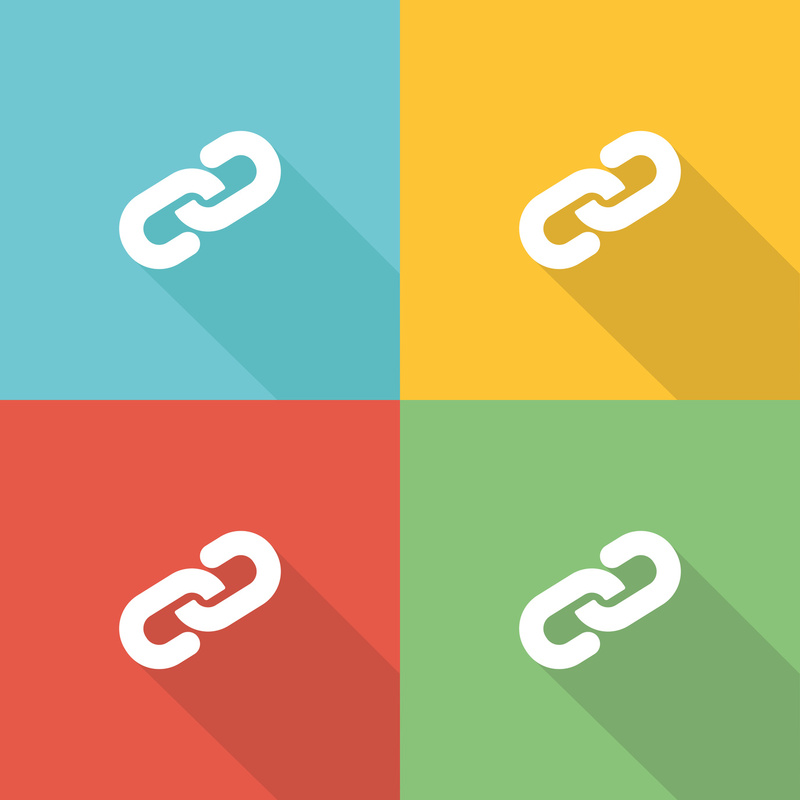 Have you been making the most of the backlinking opportunities available on YouTube? Get in touch to learn how we can help you get high-quality backlinks for your website. As our digital world becomes increasingly noisy, ensuring your online presence can be heard over the crowd plays an essential role in your business’ success. Link building services are there to hand you a microphone. As of November 2016, Google was aware of 160 trillion web pages, a 100 trillion increase since 2013. The days of SEO being a nice-to-have are over, it’s now essential in making sure your content is reaching the right people. But other than optimising your pages, and writing killer content, how else can you make sure Google is giving your pages the spotlight they so rightly deserve? Link building is the magic word, and link builders are the wizards. Google crawls millions of websites every day, reading and indexing page content, and the relationships between them. One of the most important SEO factors is a page’s links – both internal and external. Links to your website act as points in Google’s scale of popularity. The more backlinks you have, the more popular you are. But it’s not just about the numbers! As search engine algorithms evolve, the quality of the links to your site plays a major part in what the search engine infers about your page. Trusted authority sites generally link to other trusted authority sites, quality sites to quality sites, and so on. The goal then is to get lots of backlinks to your website from quality, trusted sources. Link building is the process of getting those links. Link building goes a long way to ensuring your website’s SEO is happy and healthy. Google isn’t just focused on web page content, they also pay close attention to the relationships between those pages. The more quality links to your site Google discovers, the more it sees your site as an authority; the more authoritative your site, the higher Google will rank it in search results. And we all know how vital that search rank is. Good link building practices also increase brand awareness and positive associations in the mind of your audience. For example, if a brand they already trust is linking to your site, they infer your brand is also trustworthy. Trust, authority, and popularity are the holy trinity of SEO through link building. Where do link building services come in? Link building services facilitate getting quality, trustworthy links to your site. 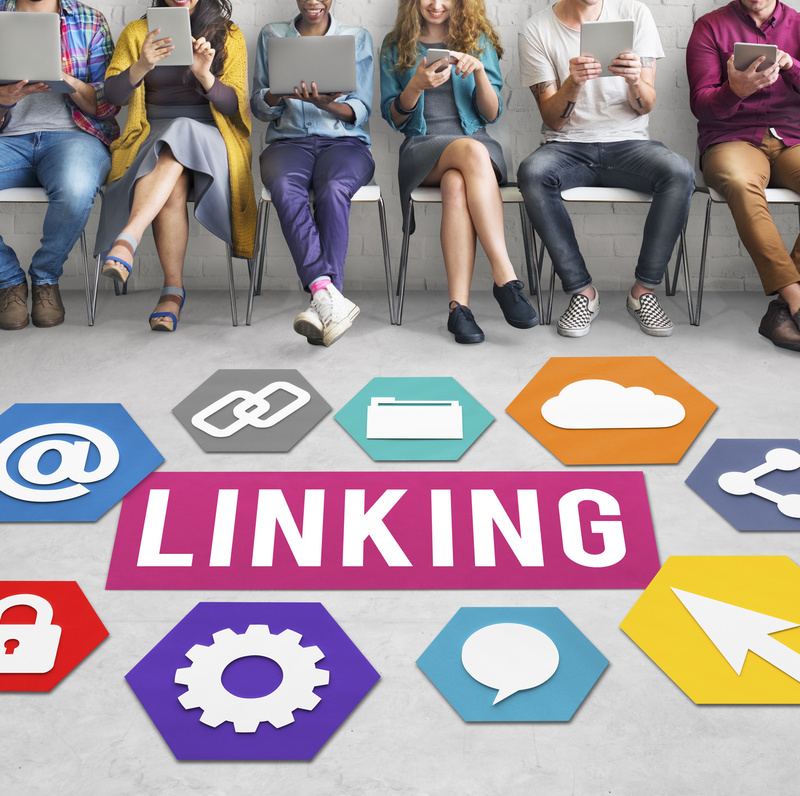 But in today’s age of being able to learn anything online, what is it that makes link building services so valuable to your business? Link buying, blog relations, social media marketing, link baiting – these are just a few practices quality link building services have in their tool belt. Link building isn’t a walk in the park, particularly for someone just dipping their toes into SEO for the first time. When you hire a link building service, you’re hiring a professional in their field. While the initial cost might not seem worth it, the future benefits to your search engine ranking and your business as a whole will speak for themselves. The Google Penguin algorithm hit the industry like a sledgehammer in 2014. Overnight, it changed everything about link building, and SEO industry professionals had to scramble to stay relevant. And stay relevant they did. Today, link building requires a lot more time and skill, as well as the readiness to handle any future SEO industry updates. Quality link building services are poised to do all that and more. It can be very easy to fall into bad practices in link building. Linking your site in comment threads or signing off a guest book with a URL may seem like good strategies but in reality, they can severely harm your website’s SEO and your company’s reputation. Link building services don’t just know what to do, they know what not to do. Keeping your company from looking unprofessional and spammy is just one of the many up sides to hiring a professional. Quality SEO auditing software and link building tools don’t come cheap, but they do come with your professional link building service. Quality link builders have a suite of tools at their disposal to help get your site’s SEO strong and healthy and keep it that way. So rather than subscribing to a dozen software licenses and drowning in how-to posts, get your link building service to do all the heavy lifting for you. “It’s who you know” is an established adage for a reason. Industry connections and contacts are as invaluable in the SEO world as any other. When you hire a link building professional, you’re also hiring their reputation. An established, high-quality link building service will have a catalog of industry contacts to put to use in getting your site’s search engine ranking up to scratch. Running a business is hard work, and so is link building. Odds are you don’t have the time to put toward lunch let alone building and managing linking campaigns. This is where link building services come in. They take the link building off your hands so you can concentrate on actually running your business. 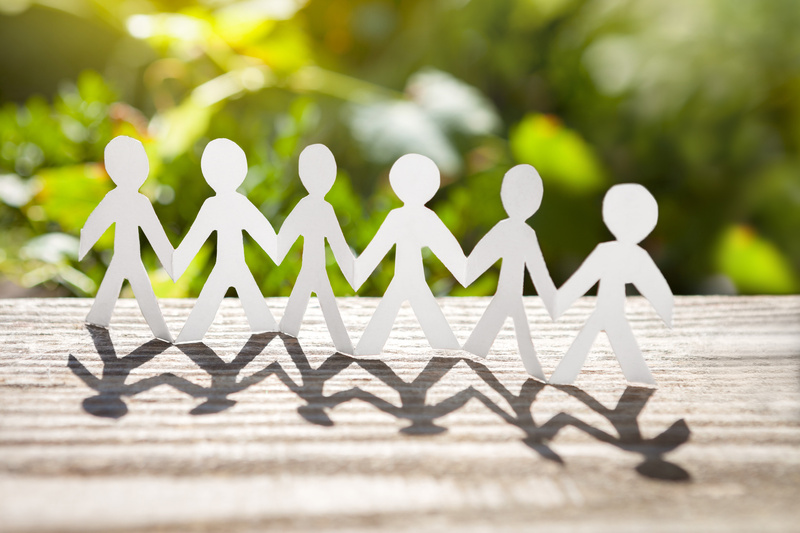 Hiring a quality link building service is forging a rewarding partnership. Great companies will answer your questions honestly, keep their processes transparent, and teach you invaluable online SEO and marketing strategies par for the course. There’s no better way to learn SEO tips and tricks than from the professionals. Link building is an invaluable tool in your search engine optimisation arsenal. It increases your website’s search engine visibility, drives brand awareness, and builds your company’s authority in your industry. Good link building services will push your SEO to live up to its potential, keep your site on top of search engine updates, and keep your brand’s reputation squeaky clean. Now that you know the magic of link building, why not become a magician yourself? 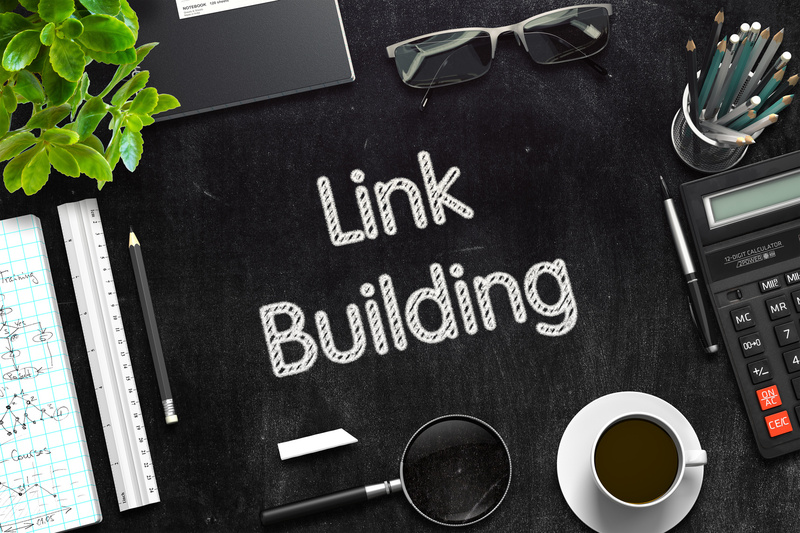 Check out our post on how to become a link building master. So you’ve optimized your business’s website with all the right keywords. You’ve started a blog, so you can grab the search engines’ attention with all your delicious new content. But you’re still not getting those top rankings in the SERPs. Despite all your content and keyword kung fu, you might be letting one very important thing slip through your fingers: Backlinks. That might sound like gobbledegook, but don’t worry. In this article, we’ll take a look at the five best strategies for easy backlinks so you can hit that number one spot. Simply put, backlinks are links from external domains that lead to your website. They “link back” to you. A backlink can come from a partner, a consumer’s guide website, a social media profile, or more. But wherever they’re coming from, backlinks are crucial for SEO. Search engines really like websites that are trustworthy. When a website has a lot of backlinks to it, that tells the search engine that that site can be trusted. And when the backlinks are coming from trustworthy sites like, say, Facebook or Wikipedia, that adds to the site’s trustworthiness rating. A network of trustworthy sites all linking to another creates a huge boon for search rankings. So obviously, you can’t afford to forget about backlinks. But building a network of backlinks can seem like an intimidating task. How am I supposed to convince other domains to link to my page? It doesn’t have to be intimidating. Here are the five best easy backlinks strategies. If you’ve given any thought to SEO at all, you’ve probably already started a blog. After all: search engines love fresh content, and a blog is the best way to give it to them. But what are you blogging about? 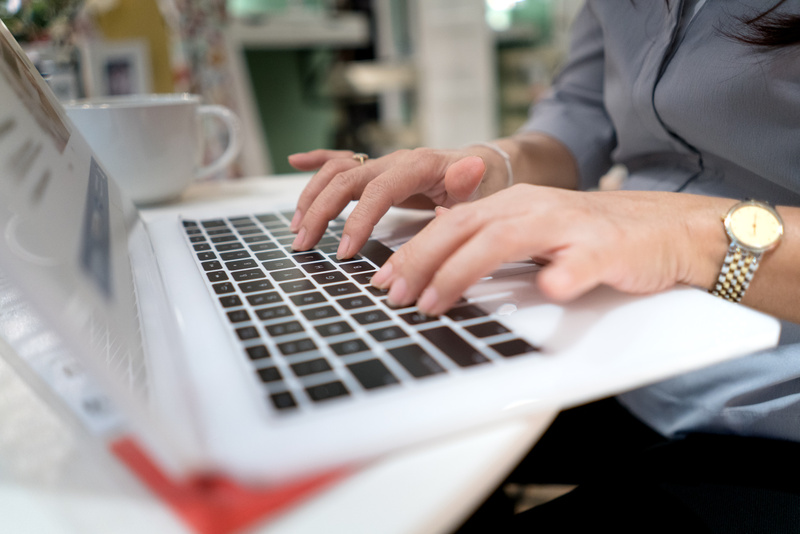 Are you just using your blogs as a place to load up on keywords? Or are you creating content that’s actually worth something? If you focus on using your blog to create a resource for customers (and maybe even competitors! ), you’ll see those backlinks pour in. Create blog posts that answer the burning questions in your industry. Write white papers or even e-books to establish yourself as an authority. If you’re serious about it, do an independent study. Creating worthwhile content won’t only attract readers to your site. Other bloggers will want to cite your content as a source. And that’s a surefire way to get easy backlinks. Why Not a Guest Blog? Guest posts have become a popular strategy for sites for easy backlinks. In a guest post, an expert in an industry (in this case, you) writes a blog on another company’s site. This is a great way to cross promote networks and create backlinks at the same time. Not only does your post link back to your site, but anywhere you share the blog links back to the host site. Because the host site gets a boost too, it usually doesn’t take much convincing. There are a number of online directories floating around the web, and most of them are dedicated to a specific industry. These directories give consumers an easy way to find businesses that offer the services they need. There are directories for specific niche markets, as well as local directories. While certain directories will be a more fruitful fit for your company, it’s a good idea to get listed in as many as you can. Your freelance web-design business might not get much traffic from a local directory, but those backlinks still count! Remember when blogs weren’t dominated by businesses? Those lone bloggers are still out there. From mommy bloggers to YouTube vlog stars, a lot of people are making a living off of blogging. And, obviously, many of them have pretty big followings. A lot of bloggers do a lot of product reviews. After all, 81% of online customers research a product online before pulling the trigger. If your business relies on business-to-customer sales, offer your product or service to a blogger free of charge. In exchange for a review, of course. Here are some tips to find a good blogger for a review. ask if they would like a sample of your product. But there’s a catch: explicitly asking for links or reviews in exchange for goods is a violation of Google’s Webmaster guidelines. In this case, it pays to be vague. Usually, bloggers will get the idea. How are you engaging with your customers? If it’s only through your website and an email list, you’re not going to have a very easy time building backlinks. Go where your customers are. Get on social media. Facebook, Twitter, and Instagram are powerful tools for opening up two-way communication with your customer base. But it’s not enough to just have a Facebook page. You need to use it. Create posts to engage with your following. The more shareable the better. Not only does your business’s page create backlinks, but any link to your site that gets shared by a follower creates another backlink. But it’s not only social media. Online review sites can create a great way to engage. Thank users for positive reviews. Apologize for negative experiences and try to patch things up. Not only does this make customers feel valued (and valued customers are repeat customers). It also creates easy backlinks. Insert a link to your site in your responses, and soon you’ll have a network of backlinks from sites like Yelp and Foursquare that will make Google happy. After seeing how much quality backlinks can help search rankings, many businesses are clamoring to build their network. These strategies can be a huge help in building backlinks, but they do take some time. And not everyone has that luxury. Because of this, some companies have even turned to buying and selling backlinks outright. If you have more money than time, you need a trustworthy link broker. Sign up today and sit back as we get you the backlinks you need to get your site to the top of the SERPs! When you implement a content marketing strategy a key component is getting backlinks. That can be tricky for new-on-the-scene marketers who don’t have connections with editors and bloggers. Even seasoned marketers can struggle with getting their content promoted by influencers and high domain authority sites via backlinks. An SEO strategy is virtually useless if your content doesn’t perform well online. Some marketers attribute up to 80% of your SEO rank is determined by content. What’s a marketer to do when other blogs and media outlets just aren’t that into you? If you want your content to be a backlink generator follow these 5 simple steps to SEO greatness. If you aren’t getting backlinks it could be because your content is stale. If you’re doing your research, you’re probably coming across the topics that you’re competitors are writing about. And you may think it’s a good idea to write about the same things to become a backlink generator. The problem is, everyone else is doing that too. Don’t write the same things your competitors are writing. Come up with new, relevant content that makes sense for your audience. Avoid self-promotion. It’s common knowledge that most people don’t want to be sold. They go to blogs seeking information, not a sales pitch. In most cases, Google rankings rely more on links from high domain authority sites than from a high quantity of backlinks. They usually take a quality over quantity approach to SEO. High domain authority sites are incredibly competitive, so if you want them to backlink your content it has to be original and well done. Researching high domain authority sites that you’d like your content to be backlinked from can help you generate new ideas for relevant content. What if you’re writing new and interesting content and still not a backlink generator? It’s possible that you aren’t writing to your audience. If you’re promoting your work to the right people, you’re giving it to other websites that appeal to the same audience as you. If they aren’t using your content, it’s possible you aren’t writing for your audience. To fix this, look to your page analytics, do a competitive marketing analysis and a deep dive of your target market. Then keep a running list of ideas that appeal to that demographic. You may also have to re-evaluate user intent. If you are working off of a keyword list that you created months ago, the readers of today may be asking themselves new questions. Make sure you are answering the right questions surrounding each keyword to stay relevant. It’s possible that you aren’t getting the backlink exposure you want because you aren’t promoting your content correctly. You can change your promotion strategy in a number of ways to become a backlink generator. Ensure you’re writing to people who appeal to the audience you are trying to reach. Personalize your emails for each editor or blogger. Never mass email your content to a number of influencers at one time. If you’re sending your content to a general email address, rethink that approach. Instead research emails at an organization and find a person to send your content to. Make sure you’re promoting the right content. Listicles aren’t likely to get as many backlinks since most bloggers can throw them together with ease. On the other hand, informative infographics, videos, research, expert round-ups and other compelling content performs well. Understanding what content is good for linking and which content is not, may be the key to your successful strategy. Improving your SERP snippet can improve your Google page ranking. A compelling SERP snippet could increase your CTR enough to move you up to page 1 or 2 on search results. Putting you front and center on the screens of bloggers who are looking for content to backlink. But even if your SERP snippet doesn’t improve your SEO that much, a clearly defined description will still help bloggers decide if they want to use your content. It’s an important piece of the SEO puzzle. When you consider all the things that appear on a SERP, from ads to definition boxes, local search results and more, it’s easy for your snippet to get lost if it isn’t compelling. Unquestionably, high ranking content has backlinks. If you want to be a backlink generator in your industry, you need to learn from the pros. While you don’t want to duplicate tired content, you can note the important characteristics about high ranking content that appeals to your audience. While you don’t want to duplicate tired content, you can note the important characteristics about high ranking content that appeals to your audience. Look for things like length, how often ranking key words are used, how many links and backlinks are in the content and voice, to name a few. All of these things and more can reveal patterns about what works for your audience. Content that is strategic and relevant to your audience is more likely to generate backlinks from domains with authority. If you’ve been following this article you know your content strategy should include new, creative content that’s relevant to your audience. It should also be based on competitive research that reveals keyword writing patterns in your industry. You say you’ve got content that meets those benchmarks? Then you may be ready to send it off, one-by-one, to high domain authority influencers who can help you promote with backlinks. With this strategy, you can slowly begin to grow your backlinks, and increase your SEO. In less time than you may think, you can be a backlink generator. And more backlinks means more business success and visibility. At the end of the day, it does take some work. As they say, nothing worth it is ever easy. 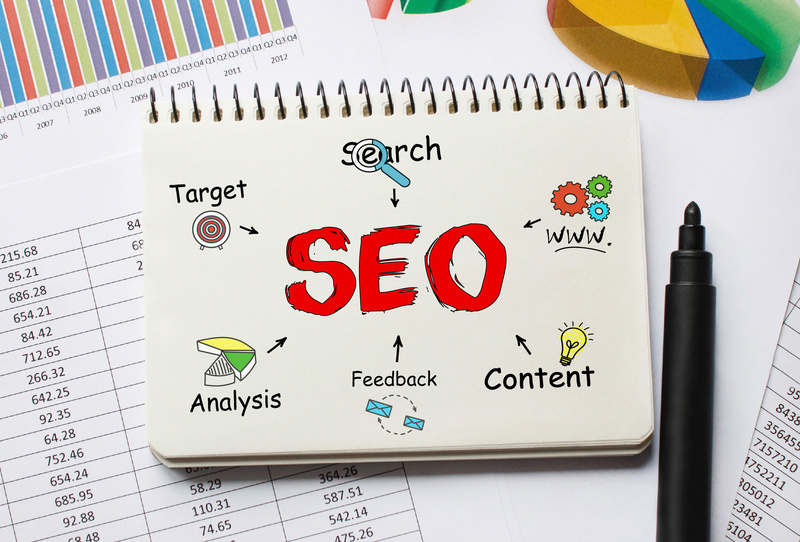 If you’re looking for more help on your SEO strategy than this article offers, check us out here. Remember making those construction paper link chains in primary school? Usually, they were made as a visual countdown to something exciting, like a holiday. The more links you added to your chain, the cooler it looked and the more noticeable it became. The same concept is true when it comes to building links to our websites. The more links connecting to our site, the more noticeable we become. With more of our links on other sites, we can expect an increase in our search engine rankings. But how exactly do we build links that other people want to use on their sites? How do we increase our domain authority using outgoing links? How do we maximize our link juice so that we can increase our web traffic and improve our SEO strategies? Simple. We use a tried and true method. We use the help me help you route. Read on to learn strategies for building link juice to create a website that’s a well-oiled, traffic-generating machine. ‘Link juice’ is SEO jargon that refers to having your links hosted on other sites where people can click and be directed back to your website. ‘Link juice’ is like being the popular kid in school – you’re invited to all the parties and everyone wants to come hang at your house. If a link to your site or your content is showcased on another site, it’s a vote of authenticity and credibility. This means that your material is being highlighted as a strong resource and other people are choosing to link to you as an ‘expert’. The number one way to become the popular kid in the linking world is to have the best content you can offer. Having guides, infographics, quality stats and research-driven material that supports whatever it is your site boasts is a great start. For example, if you are a boating website – to get your link juice flowing, you would want to have some great, relevant content. Things like how-to guides, blog posts, and guides to help boaters with anything related to boating would be considered ‘quality content’. By adding the right keywords to rev up your SEO marketing, building link juice to your site will be an easy task. Guest posting is kind of like guest speaking. Think of guest posting as going to a kid’s classroom and telling them all about your job. When you guest post, you are writing on for someone else’s site, but you have the opportunity to add a link, or two, that directs people back to your site. This is what I was talking about when I said to use the ‘help me help you’ method when building link juice. The person whose site is hosting your guest post gets some quality content written by someone that they obviously respect as a valid source in the industry. You get a great place to drop a link or two, and potentially increase your web traffic from someone else’s site. This is the same kind of idea as a guest post scenario. Using various social media platforms, you can optimize external links to your site by getting ‘trendy’. Let’s use our boating example and the social powerhouse of Twitter. Maybe you wrote a wildly informative article on your site about how to correctly throw an anchor. You wanted this riveting article to trend on Twitter, so you hashtagged it with #AnchorsAway. Now, if #AnchorsAway begins to trend on Twitter, you automatically have a ton of new eyes on your site and your article thanks to the power of social media. Social media marketing has quite possibly become one of the strongest forms of advertising and can do wonders for supporting our SEO strategies. It’s also a pretty awesome way to building link juice that can fuel web traffic to your site. The fuel that makes blogs become huge advertising and web traffic building superstars is the comments section. When people read and respond to your articles, they are actively taking an interest in your content. This is great! By staying up-to-date with other sites that offer similar services, products, or ideas is an awesome way to know your competition. Also, it’s a great place to add your comments and plug your site. Let’s get back to our faux boating site I’ve been referencing. After releasing your #AnchorsAway content, you decide to check out other boating sites and their anchoring knowledge. You find a handful of sites that have some good material and decide to comment on their articles. While commenting, you can link to your site or article. Of course, make sure to keep your comments professional, supportive, and positive. You want to create a boating ally; not an enemy. Building link juice relies on quality web networking. To ensure that you are building link juice that is strong and validated, you want to achieve a higher domain authority. That means you want to make sure you’re posting quality content and creating quality links. Using the ‘help me help you’ method of creating strong links, both internally and externally, can drive your web traffic straight into rush hour. Getting your site to become viewed as an ‘expert’ in your industry is not an impossible feat. Create great content, optimize your guest posting opportunities, max out your social media marketing, and schedule some online networking thought comments on similar sites. Pair those tips with utilizing your internal links and external links to help start your journey into building link juice. Just adding these quick, basic strategies to your marketing plan can quickly increase your web visibility. Feeling overwhelmed with all things link juice related? Don’t stress — you can always find someone with the knowledge and expertise to help you maximize the link juice on your site and increase your website traffic in no time!